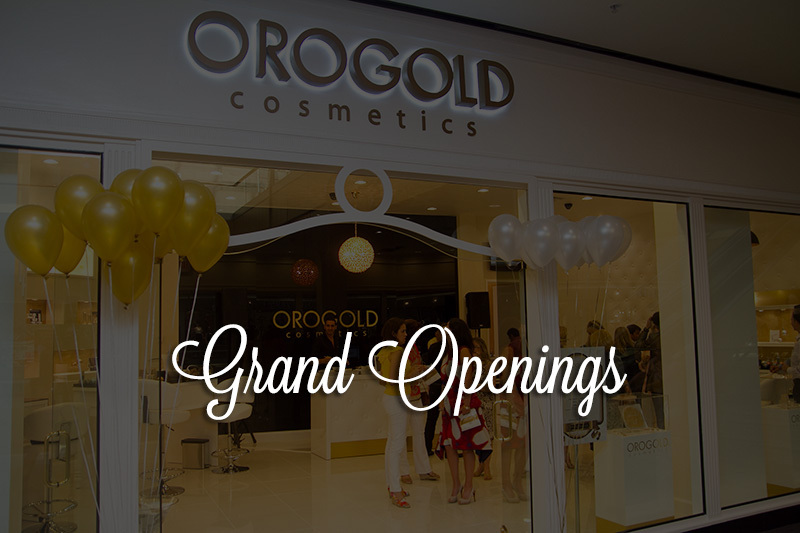 OROGOLD, your premier luxury and anti-aging skin care brand is excited to announce the opening of a brand new store location in Puerto Rico. The bright sunny island is the perfect place to add growing list of OROGOLD locations around the world. Just in time for the holiday season, this location’s grand opening was held on December 2nd, 2014. The latest OROGOLD location boasts the same gleaming white décor accented with slick black and signature gold. Just like other OROGOLD stores, this location exudes opulence and luxury with plush tufted wingback chairs, beautiful product displays and a dazzling black chandelier dominating the center of the ceiling. The opening day was full of personalized skin care consultations and product demonstrations, the things we do best at OROGOLD.According to OROGOLD CEO Adi Oded, the newest OROGOLD location continues in the tradition of the OROGOLD brand by offering top notch service alongside goal oriented products. “We are thrilled with this latest store opening. 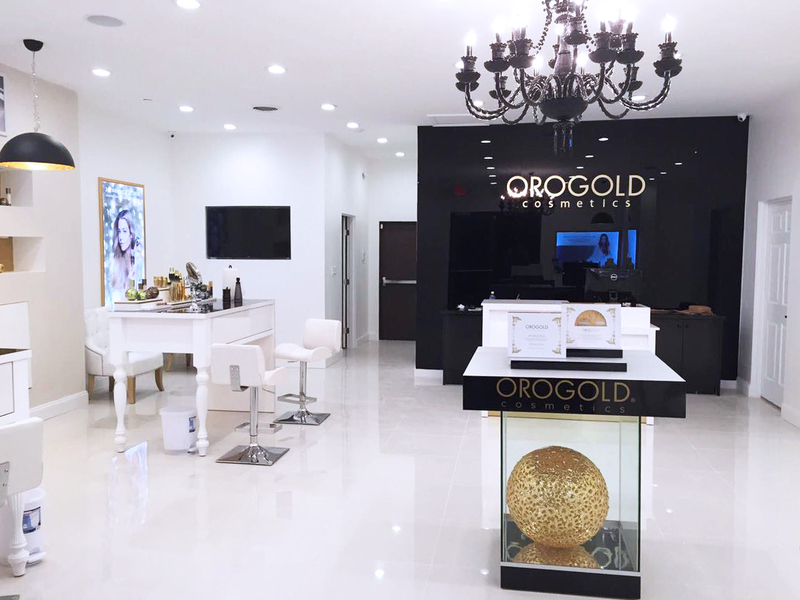 We heard our customers’ demands; they love the products and want more locations where they can experience OROGOLD in person.” OROGOLD Puerto Rico is one of several stores opened in 2014, with even more slated for opening throughout 2015. 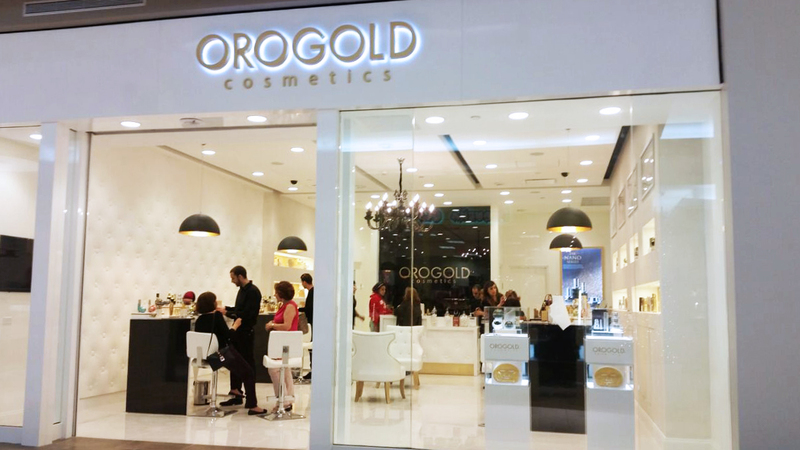 You can visit OROGOLD Puerto Rico now at the Plaza Las Americas. Plaza Las Americas is a 1.8 million square foot shopping center located in San Juan, Puerto Rico. This beautiful all is one of the premiere shopping destinations offering a wide variety of shopping experiences and different types of stores. The plaza also includes a movie theater and the La Terraza Food Court along with sit down and full service restaurants throughout the mall. An interesting aspect for tourists to check out at the mall are the artist elements added which recreate the history of the island, starting with its discovery in 1493 by Christopher Columbus. After taking in the shopping at Plaza Las Americas and stopping by the OROGOLD store you can take a stroll to the nearby beach to unwind. A beach is never far from where ever you are, on this small island. Being an island also gives Puerto Rico some diverse weather in a pretty small area. In fact, the weather can be different from area to area, with dry desert terrain around the southern coast, cool mountain air in the center of the island and tame warm air at the beaches. Overall though, Puerto Rico is considered to have a tropical climate weather that is usually warm and humid throughout the year and average temperatures ranging mostly from the 70s to the 80s. This sounds like the perfect weather for spending time outdoors but can be challenging when it comes to skin care, especially for those who have oily or acne prone skin. OROGOLD is here to help! All OROGOLD staff around the world are armed with skincare knowledge to help clients care for their skin, no matter their skin type or needs are. Beyond this knowledge, the staff at OROGOLD Puerto Rico is specially trained to help people care for their skin in tropical climates. They have a vast array of tips and tricks for dealing with the humid weather and ensuring skin stays healthy and youthful looking. If you are planning to visit Puerto Rico or live there come by and visit the OROGOLD location in San Juan. OROGOLD skin advisors are looking forward to seeing you and helping you achieve radiant skin. Congratulations! I love Orogold products! They are going to love having a store in Puerto Rico…I wish there was one closer to where I live! What a perfect combination of gorgeous products for such a gorgeous place. congrats on the new store location! When I take my cruise to Maldives Puerto Rico; I will definitely have to visit this store! It looks very nice! Congratulations on the opening of the store. It’s a nice store and great product. Looks gorgeous, best wishes to all!!! Wow, What a beautiful store. And the staff seems to have lots of knowledge to help there clients too. Wow.I would love to visit the store. Congratulations! What a great location. Congratulations!! Hope you’ll have many satisfied clients! Congratulations on your brand new store in Puerto Rico! Another beautiful ORO GOLD store has opened and the people will be happy. Very wonderful cosmetics! I really cannot get enough. Do not look anywhere else because OROGOLD is the best. It will leave your skin glowing,soft,smooth and youthful. I bring all my friends in. I’d really like to visit one of your stores… Is there one also in Italy? Yes, there is an OROGOLD store located in Italy. What beautiful products you guys make! Glad to see youre expanding the way you are! I wish you all the luck with the new store. Hope it takes off and you get to open another one. Products look amazing and would love to try!!!! Congratulations on your brand new store in Puerto Rico!!!! How exciting! This is really great news! I made my first Orofold purchase yesterday and already love it. The people of Puerto Rico are going to love it too! Congratulations on your new store! Your products are so unique, and I love the way they make my skin feel. I just love the smell of their face cream! Just visited the store today in NY. Great products! Felicidades!! How wonderful can’t wait to see it in person. The new store looks beautiful. Please consider a store in Vancouver. Congratulations! I love the products. What a beautiful store in a great location! I wish it was near me. 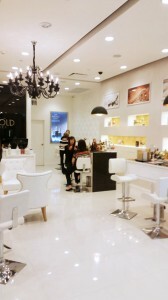 I would love to go in a store for the Orogold personal consultation and treatment. Thrilled that they now opened and have a store in Puerto Rico! Couldn’t have been a mor better place! What a beautiful store it is my friends! Puerto Rico will be a great addition to the list of shop locations. The Puerto Rico store looks very beautiful. congrats. I absolutely LOVE OROGOLD!! Did so much shopping at the Edmonton, Alberta Canada store!!! The staff is extremely knowledgeable and professional!!! They chose the perfect complimentary products for my skin type!! The body butter is to die for!! And the stretching mask I can’t live without!! I love it all!!! Thank you OROGOLD!!! I wish you all the best of success with your new store!! Congratulations!!! Love the deep peling and the Vit C serum!! !